Winter season is here and so is the time to deal with cold and cough that happens to be a common affair during the chilly months. The cold and dry winds across the country are causing a toll on many people's health. Winter season is here and so is the time to deal with cold and cough that happens to be a common affair during the chilly months. The cold and dry winds across the country are causing a toll on many people's health. Our immunity system tends to take a dip during winters and we end up falling prey to cold and cough that can turn out to be quite annoying. So in order to steer clear of it or to bring some relief from dry and itchy cough, we bring to you an Ayurvedic remedy that is all-natural and won't cause any side effect. Honey, ginger and mulethi (liquorice) together could possibly provide you with immense relief from dry cough. Honey and ginger are two easily available kitchen ingredients that can do wonders for your overall health. Not only do they have healing properties, but also help in boosting the body's immunity. 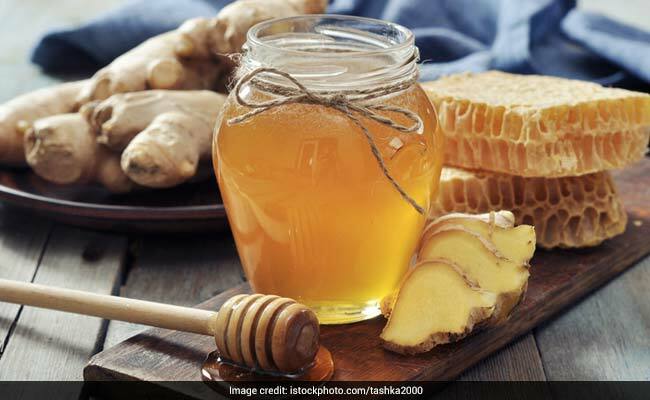 According to Ayurvedic expert Dr. Ashutosh Gautam, "Ginger is good to reduce the quantity of phlegm and has antimicrobial properties; whereas, honey is demulcent. Mulethi eases the expulsion and dilution of sticky cough. Apart from it, it helps in soothing the sore throat." All you need to do is to take one tablespoon of honey and add a bit of ginger juice extract to it. Other than this, you can keep mulethi stick in your mouth to keep your throat moist. Mulethi can keep dry and scratchy throat at bay as acts as a natural lozenge. So, without further ado, bring this Ayurvedic home remedy to your rescue and say bye-bye to dry cough.